Enjoy Quito’s delicious and fresh seafood at home! 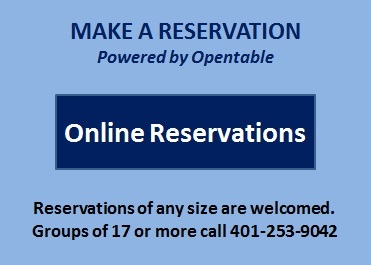 Quito’s Restaurant is a family owned and operated, coastal destination. We source only the highest quality and premium ingredients from local suppliers. Our food is simple but modern. 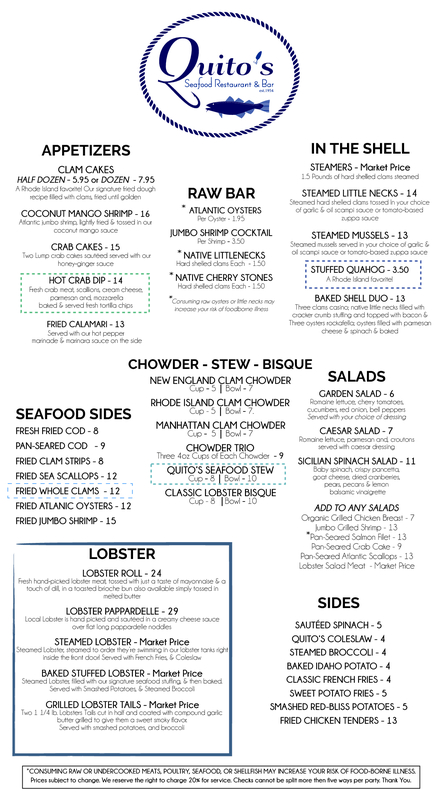 Classic coastal New England atmosphere, friendly attentive staff. A family who’s passion is food who seeks to share their love for food with their customers. 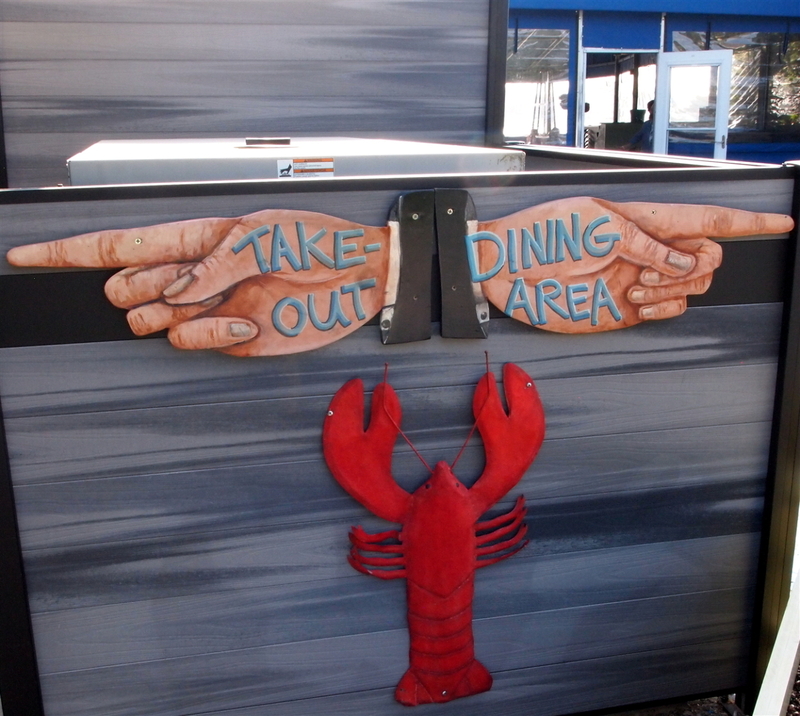 To offer people a comfortable spot on New England’s coast to eat fresh local seafood. Quito’s embodies summer, family, seafood, friends, and the 4th of July. 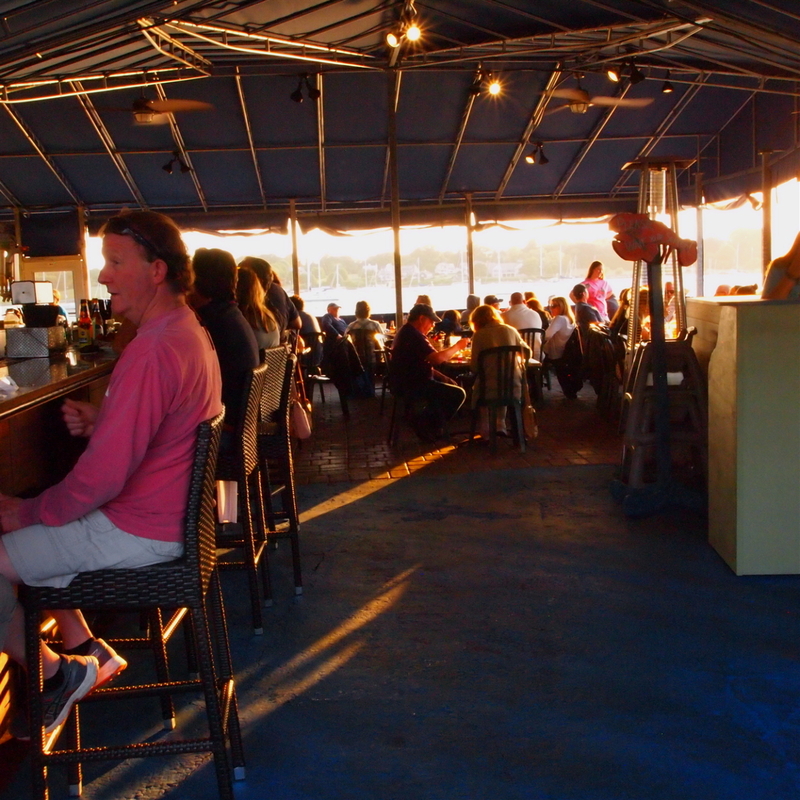 We bring those warm summer memories to you each and every time you dine with us. From March or August we make you feel as though you are on a long summer holiday! Quito's is the place to go for a relaxing summer dining experience in the East Bay. 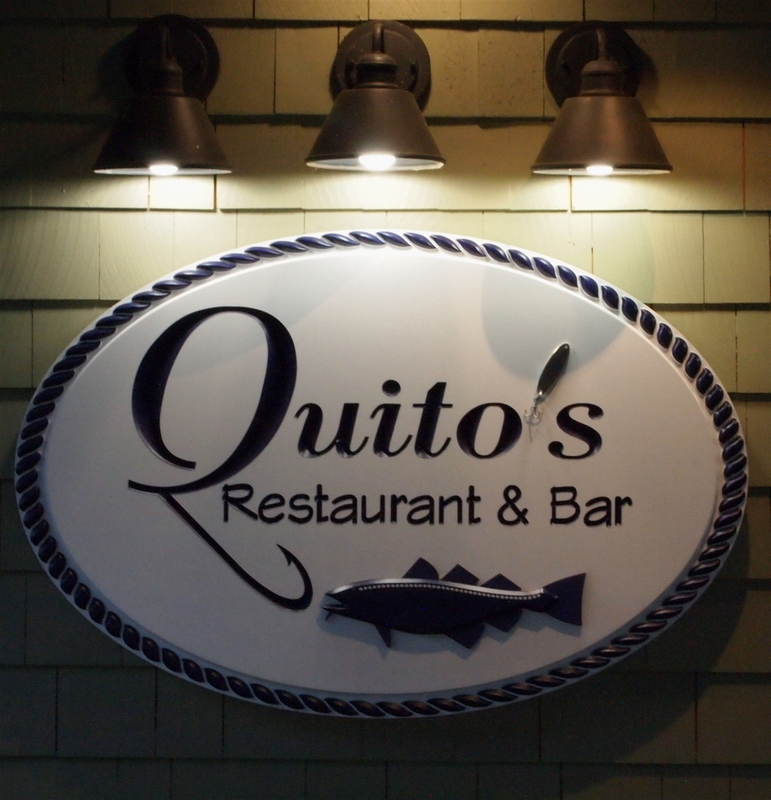 Quito's is a friendly, low key family seafood restaurant located in scenic Bristol, Rhode Island. Founded in 1954, Quito's started as a local fish market. Later, a few tables were added and family recipes were relied on for the basic fare. As it's popularity grew so did the dining room.